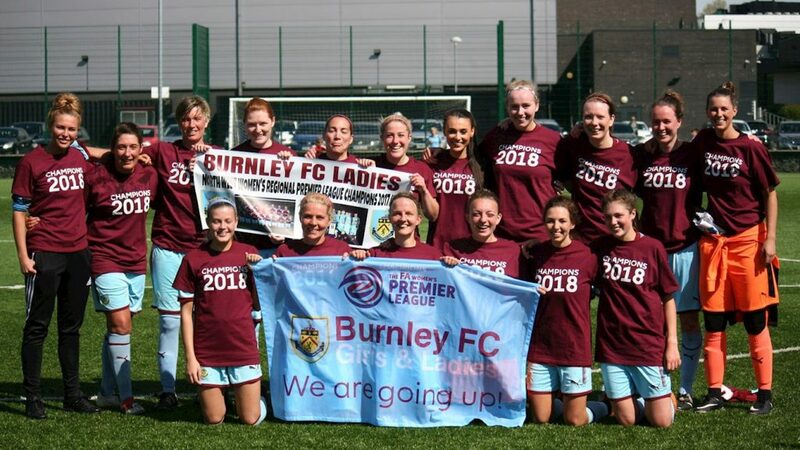 Nettleham sealed the East Midlands League title, Burnley became North West champions, while AFC Bournemouth won promotion to the Southern Premier Division. 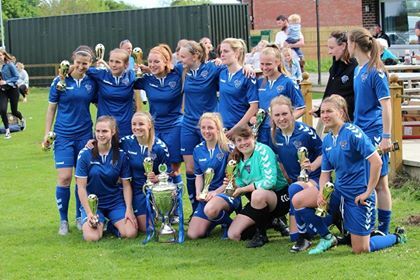 LEAGUE CUP – Lauren Holden and Megan Todd both bagged braces as Acle United defeated AFC Dunstable 6-1 in the Cup final at the Herts FA County Ground. Grace Birchall and Kirstie Kindred were also on target for the favourites, who were just one up at half time. 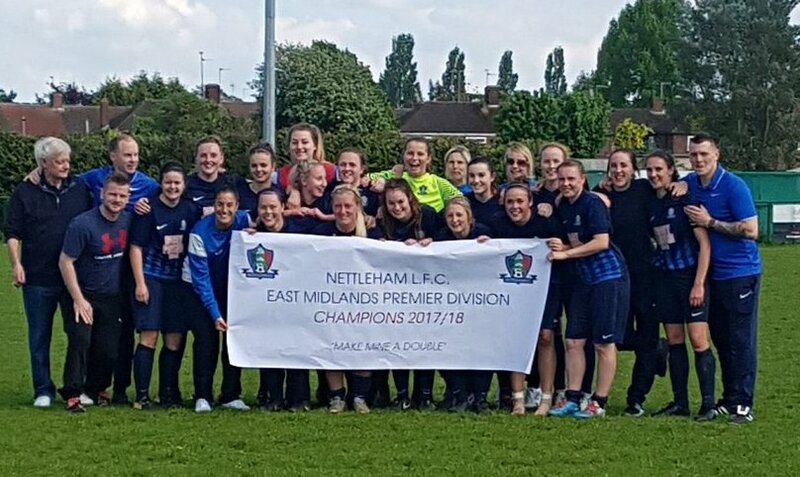 LEAGUE PLATE – Hutton beat Division 1 South champions Stevenage Reserves 1-0 in the Plate final, Kate Lowen netting in the second half. PREMIER – Nettleham won the title decider 3-1 at Peterborough Northern Star, the latter’s hopes having already been hit with a midweek defeat to Kettering Town as Samantha Pebody got the only goal. Holly Newman was meanwhile scoring five as Nettleham went top with nine goals at Rise Park. Kettering are eighth after a 2-0 victory at Mansfield Hosiery Mills. 1 NORTH – Champions Woodlands denied Lincoln Moorlands Railway the runners-up spot with a 2-1 defeat, Megan Herbstritt and Jody Scott their scorers. Grimsby Borough took sixth place with a 3-1 win over Sleaford Town. 1 SOUTH – Emma Dunmore hit five and Georgina Powell three as Northampton Town netted a dozen at Corby Town. But the Cobblers will lose out on second spot if Oadby & Wigston Dynamo take a point at home to Heather on Wednesday. Oadby were 2-1 winners at Corby S&L on Sunday, Lucy Phillips-Poole and Hannah Webster with their goals. 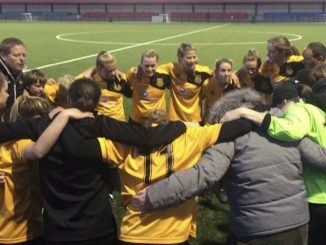 PREMIER – Runners-up AFC Phoenix warmed up for next Sunday’s Cup final against champions Crawley Wasps at Maidstone United FC with a 7-1 thrashing of London Kent Football United. GREATER LONDON LEAGUE – Finals Day is at Bedfont Sports on 20th May, starting with the Sue Sharples Memorial Trophy at 11am between South East Parakeets and Alexandra Park. The GLWFL Trophy at 1.15pm brings together Islington Borough and AFC Phoenix Reserves, with Godalming Town and Ashford Town contesting the John Greenacre Memorial Trophy/League Cup at 3.30pm. SOUTH EAST COUNTIES PREMIER – Two goals by Elizabeth Thoms helped Chichester City DS take third position but only with a 5-4 result over lowly Herne Bay, for home Lauren Harris hit a hat-trick in vain. Hassocks edged Worthing with a Katherine Chappell goal to go eighth on goal-difference. PREMIER – The top two met on Tuesday as hosts Norton & Stockton Ancients were held 2-2 by Durham Cestria. Sian Williams and Nyci Thorns netted for the home side, Sophie Hodgson and Lauren Jordinson for the visitors. Norton next entertain York City on Wednesday. Farsley Celtic ran out 8-1 winners at Wallsend BC. 1 NORTH – Boldon CA Villa secured a top three place at the expense of Consett, whom they beat 2-1 with goals by Allison Ferris and substitute Robyn Foster. 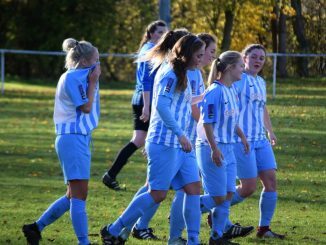 Laura Wallace scored twice and Holly Smith came off the bench to add a third goal as Guisborough gained only a third point of the season with a 3-3 tie at ten-player York RI, which lifted the home team into fifth place. LEAGUE CUP – Durham Cestria defeated ten-player Norton & Stockton Ancients 2-0 in the final with late goals by Caroline Dixon and Taylor Haist, Rachel Chisnall having seen red. 1 NORTH – Wednesday fixtures saw FC United storm to a 10-1 victory at Curzon Ashton with the help of a Kirsty Chambers treble, while West Didsbury & Chorlton won 4-2 against Stockport County Blues as Sophie Bracegirdle got a couple. LEAGUE CUP – Second in the league, Stockport County also had to settle for being runners-up in the Cup, edged 3-2 by Division 1 North champions FC United and a decider from Chambers. LEAGUE PLATE – Warrington Wolverines were 3-0 winners over Liverpool Feds Reserves, Nicola Chatterley, Wendy Booth and Claudia Hutton with one apiece. 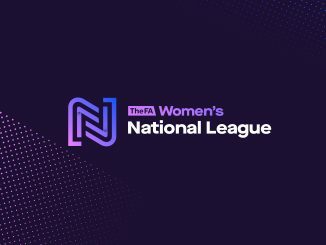 1 NORTHERN – Fixtures were completed with Wycombe Wanderers hitting hosts Wokingham & Emmbrook for six, Tara Woodward featuring with a four-goal haul. 1 SOUTHERN – AFC Bournemouth took top spot by dismissing Winchester City Flyers Reserves 12-1, Emma Davis with five and sub Meg Vella getting four. Runners-up Warsash Wasps won 4-2 at Southampton WFC Reserves with Megan Fox on target twice. Eastleigh can still take third place from Alton after sending them to a 5-1 defeat. #PLGIRLS – They’ve done it! @afcbournemouth Ladies secure promotion in the @SthRgnWFL with a fantastic 12-1 win over Winchester City Flyers! FINALS DAY – League champions Chesham United play AFC Bournemouth this Sunday at Alton Town FC for the League Cup (3pm KO), preceded by the Plate final at 12:00 between Oxford City and Winchester City Flyers. PREMIER – Marine Academy Plymouth took the points 2-1 at Torquay United in midweek, substitute Sam Kotlinska with the decider in the ongoing battle for second. Marine then shared ten goals with Exeter City at the weekend, Sam Drewery with three for the hosts, Abbie Britton matching that for the Grecians. Torquay bounced back with a 2-0 victory at Ilminster Town, Sarah Smith getting both goals. Forest Green Rovers won 4-1 over Keynsham Town DS and Downend Flyers were defeated 6-2 at home by Bishops Lydeard for whom Emily Syme scored four times. 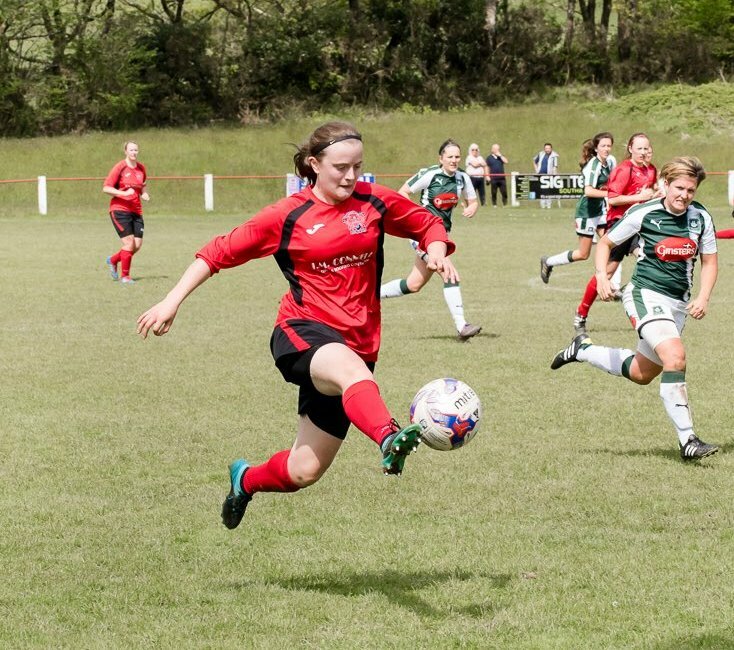 1 EASTERN – Midweek matches saw Frome Town dent Wootton Bassett Town’s title hopes in a 2-2 draw, Swindon Spitfires’ Claire Morton and Chloe Neate net two each in a 6-2 result with Cheltenham Civil Service and Almondsbury get the only goal at Oldland Abbotonians. Wootton went level on points with leaders Portishead at the weekend after a 2-0 result at Oldland and they finish up at Cheltenham Town DS this Thursday. Spitfires were among the goals again, Katie Wadey with three in a 5-4 victory at Cheltenham DS. Team Mendip took four points from the double-header with FC Chippenham, coming from two down to draw 2-2 and winning 3-1, while Almondsbury put five away at Frome. 1 WESTERN – Plymouth Argyle Reserves won 6-1 at Newquay Celtic in midweek with two from Gabi Alphous. The same player then got the only goal at Callington Town to end the leaders’ seventeen-match winning run and put the Pilgrims within two points of them. Alphington fought back to edge Plympton 2-1 and finish third, while Exeter & Tedburn Rangers and Newquay drew 2-2. Callington host Newquay on Wednesday with Alphington home to Bideford the next night. PREMIER – Top of the table Leafield Athletic were held 3-3 by Bedworth United, who are two points behind and play their game in hand at Crusaders on Tuesday. Leamington signed off with a goalless draw against Worcester United, having lost 6-0 to Coundon Court in midweek. 1 NORTH – Goldenhill Wanderers still hold hopes of a third successive promotion after edging Shrewsbury Town 1-0 with a Holly Ellison effort. Leek Town are still second after putting ten past Brereton Town, there of those coming from Rehanne Mellor. 1 SOUTH – In the title race, Redditch United went top on goal-difference above Gornal – who have completed their matches – with a 2-2 tie at home to Coventry Sphinx, who remain in a good position themselves having a game in hand on the leaders.